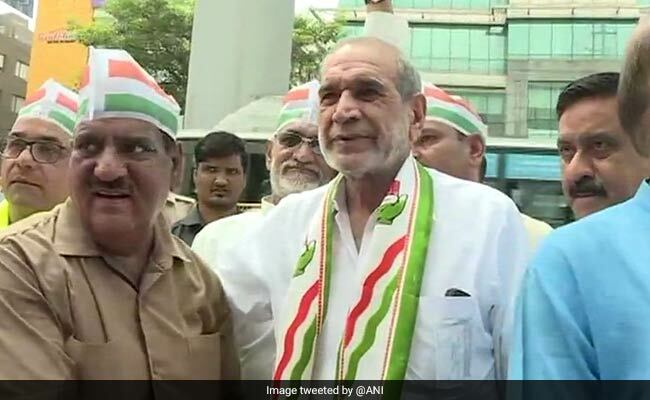 Congress leader Sajjan Kumar was convicted in the 1984 anti-Sikh riots cases by the Delhi High Court today. Setting aside the lower court's acquittal and pronouncing life sentence for Sajjan Kumar, the high court said, "truth will prevail and justice will be done." Sajjan Kumar has to surrender by December 31 and cannot leave town. He also has to give his mobile number to the CBI. Soon after the conviction, Punjab Congress chief and Lok Sabha lawmaker, Sunil Kumar Jakhar said, the party has been clear that whoever was involved in the riots should be brought to justice. "Yes, justice has been delayed but delivered finally. Nobody is above law and anyone who is involved in such heinous crime should be brought to justice," Mr Jakhar said. "Law has taken its own course. It'll strengthen people's trust in law. Any person who has been convicted in such cases should quit their political life," the Congress Lok Sabha lawmaker said. Finance minister Arun Jaitley took to Twitter and said: "Justice for the victims of 1984 was buried by the Congress... Sajjan Kumar's conviction by the Delhi High Court is a delayed vindication of justice. The Congress and the Gandhi family legacy will continue to pay for the sins of 1984 riots. Senior BJP leader and national general secretary of the party Ram Madhav tweeted, "Justice to 1984 anti-Sikh riots victims finally...thanks to the efforts of home minister Rajnath Singh and Ministry of Home Affairs for reopening the cases deliberately suppressed by the previous government." Justice to 1984 anti-Sikh riots victims finally. Congress leader Sajjan Kumar sentenced to life imprisonment by Delhi HC. Thanks to d efforts of HM Rajnath Singh n MHA of reopening d cases deliberately suppressed by d previous Govt. Delhi Chief Minister Arvind Kejriwal said that he "welcomed the verdict." The Chief Minister posted on social media that "it was a very long and painful wait for the victims...no body involved in the riots should be allowed to escape..."
I welcome Delhi High Court verdict convicting Sajjan Kumar in 1984 riots case. It has been a very long n painful wait for innocent victims who were murdered by those in power. Nobody involved in any riot should be allowed to escape no matter how powerful the individual maybe. "We thank the court for giving us justice...our fight will continue till Sajjan Kumar and Jagdish Tytler get death sentence," said Akali Dal lawmaker Manjinder Singh Sirsa. Mr Sirsa also said the Gandhi family and Kamal Nath, who is taking oath as the Chief Minister of Madhya Pradesh, will pay for it. Besides Sajjan Kumar, the high court also sentenced Captain Bhagmal, Girdhari Lal and former Congress councillor Balwan Khokhar to life imprisonment. Kishan Khokkar and former legislator Mahender Yadav have been given 10 years in jail. Earlier in 2013, the Karkardooma trial court had acquitted Sajjan Kumar and the others. The victims' families and the CBI had challenged their acquittal in Delhi High Court.